Gucci reinvents “Instagram”. 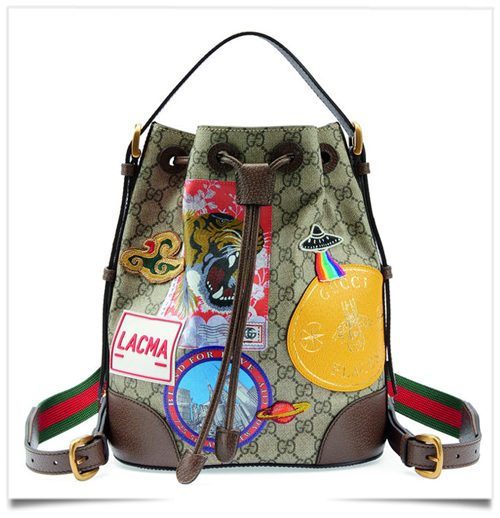 Earlier this year Gucci has launched an application called “Gucci Places” using geolocation services on user’s phones that sends them a push notification when they are near a Gucci shop. Once in the place, the user can earn corresponding badges and share them on social media. The aim is to invite aficionados to discover unexpected stories about these places, and to form a community. The first Gucci Place was the Chatsworth in Derbyshire, England, where Gucci was supporting an exhibition of clothing and memorabilia baptized “House Style”, as well as where it realized its Cruise 2017 advertising campaign. The latest Gucci places to discover include: The Angelica Library, in Rome, Italy; the Castello Sonnino, in Montespertoli, Italy; The Assouline House, in London, England; the Los Angeles County Museum of Art (LACMA), in Los Angeles, California; Bibo restaurant, in Hong Kong; and the Waltz store in Nakameguro, Tokyo, Japan.